He began his career while playing the guitar with General Prince Adekunle, later forming his own group with Juju Maestro Segun Adewale.Shina Peters, after releasing many albums with Segun Adewale through the 1980s, went on to form his own band "Sir Shina Peters & His International Stars". Their first album release Ace (Afro-Juju Series 1) in 1989 went double platinum and was the career breakthrough which catapulted Sir Shina Peters back into the limelight. "Ace" was a musical fusion between Juju and Afro beat; a rhythmic collaboration which pierced Ethnic, Cultural and language barriers in Nigeria. The second album release Shinamania (Afro-Juju Series 2) went on to further prove that Sir Shina Peters & His International Stars were on the verge to change and revolutionize the Juju Music scene in Africa. Sir Shina Peters is still regarded as the creator of a well-respected music genre (Afro Juju) that exists in its own class till this day. He currently has 16 albums to his credit. 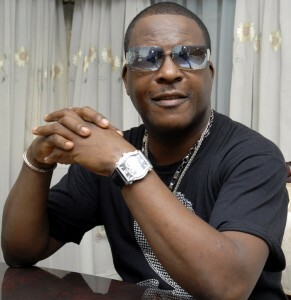 Shina peters was inducted into The Headies (Hip-HopWorldAwards) Hall of Fame in 2011.